Elizzabeth Hope: 12 Fashion New Years Resolution! OMG! I love this! 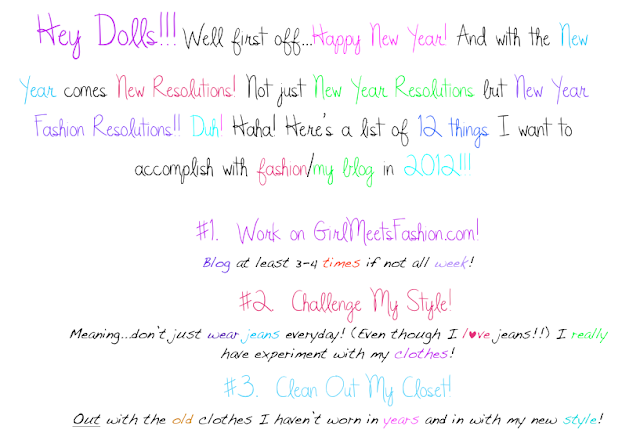 Did you see the resolutions on my blog? I really want to get a fashion internship, save up for a camera to take outfit of the days, and make my blog the best it can be! Are you going to pursue a fashion career? 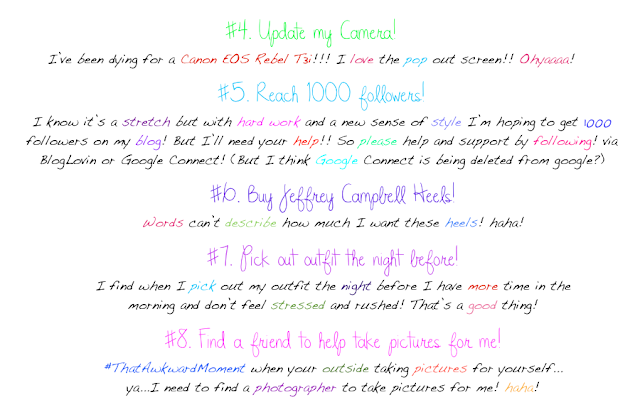 I want to be a fashion editor! Such a cute post! 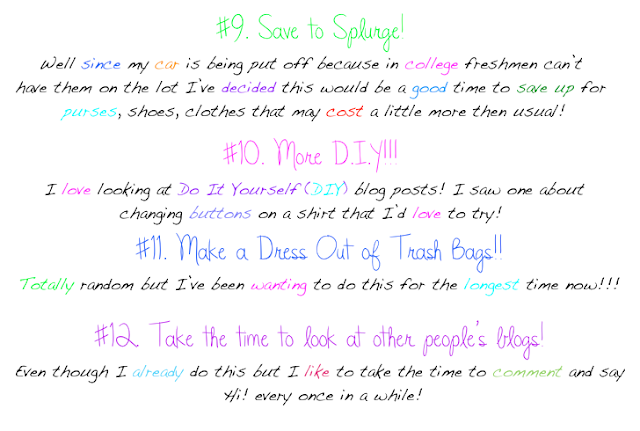 I share some resolutions with you! I also wanna work on my blog and get a 1000 followers and get a better camera and find someone to take pictures of me and save to splurge. I wish we were in the same city then we cud have done outfit posts for each other! Great Resolutions! I decide to start running again....eeesh, I feel like I signed my life away...haha...all for the great er good right!